Since it’s been a challenge trying to keep up with my story since I started working full-time, I decided I try and least do a smaller drawing so I don’t get too soft. 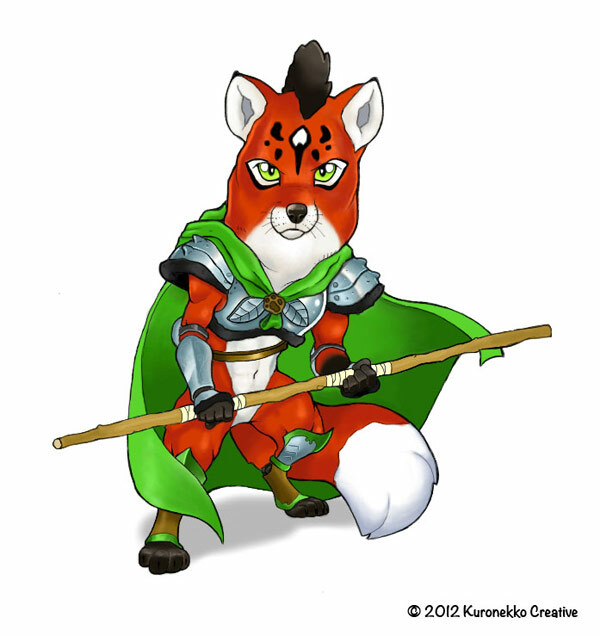 I was recently inspired to try and do a chibi style furry warrior, so here he his. I started with a ballpoint sketch on graph paper that I then scanned and imported into my iPad using DropBox. I then used the app Procreate to draw, touch up and color the character. I did the line work using the Targus stylus and I did all coloring and blending using the Nomad Brush! I really like how it came out and learned a lot that I can use on my next character challenge. This entry was posted on Monday, January 30th, 2012 at 4:23 am and is filed under Blog. You can follow any responses to this entry through the RSS 2.0 feed. Both comments and pings are currently closed.